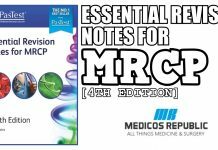 In this article we are going to share with you list of important topics for MRCP Part 2 exam. 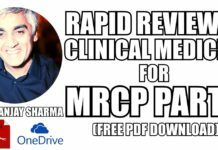 This list has been developed by Dr. Sujit Vasanth & Dr. Sanjay Sharma and it is entirely based on their MRCP Part 2 exam experience. 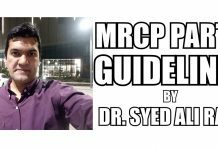 For those who don’t know, last night we published an article regarding High-Yield Topics for MRCP Part 1, which is a work of Dr. Sujit Vasanth. Renal deterioration is most often due to NSAID’s: NSAID’ –> renal deterioration, ATN, interstitial nephritis, renal papillary necrosis, chronic tubulo interstitial nephritis. If asked most LIKELY cause of renal failure NSAIDs are likely to be the answer. Diabetic patient maximum reduction in CVS risk BP (especially ACE Inhibitors>>> tight glycemic control, weight reduction unproven. Antipsychotic + fever, rigidity, confusion, ANS dysfunction –> NMS. can be pptd by anticholinergics, lithium and benztropine. Rx. withdraw agent, antipyretics, dantrolene, bromocriptine, levodopa. Can occur at any time since starting antipsychotics. MS –> 2 neuro lesions seperated in time and location. iv) consider lab error if pH is not proportional to HC03:Co2 ratio. Trivial trauma in young people –> stroke…think vertebral artery dissection. head and neck pain + stroke –> think of dissection. usually under 40 yrs, trivial trauma with some neck distortion.stroke is often brainstem/cerebellar. Alcoholic liver disease and neurological deterioration: nystagmus–> Wernicke’s. If decreased GCS only and on opitaes –> opiate overdose. eg. alcoholic, drowsy on cocodamol –> give naloxone! Legionella pneumonia (systemic upset, non-productive cough, inc wcc, lympohopenia, low Na–> Rx. azithromycin or levofloxacin. Legionaires disease –> flu-like prodrome, fever, non-productive cough, confusion, neutrophilia, lymphopenia, HYPONATRAEMIA, non specific liver derangement, proteinuria/myoglobinurua, lobar or bilateral consolidation, macrolides (azithromycin) or quinolones (levofloxacin) (both superior to erythromycin). combination therapy of erythromycin and rifampicin is second line. doxycyclline, cotramoxazole and tetracycline can also be used. Arrythmia + amiodarone leading to hyperthyroidism —> Start carbimazole. If indication mild, stop amiodarone – carbimazole will often be required if the AF would lead to compromise – as the half life of amiodarone is long and stopping amiodarone alone would have a DELAYED affect. >1g/day proteinuria before ANY other treatment —> ACE inhibitor. indications for ACEi in renal failure: hypertension –>and/or>> glycaemic control. Antibiotics not to be given prophylactically in this case. Low protein diet beficifal in overt proteinuria not microabluminurea. CRF + Fe PO + anaemia –> give Fe iv to replenish stores PLUS EPO. keep Hb >11 to prevent LVH. If patient symptomatic i.e. angina then transfuse. Coeliac disease –> IgA deficiency, dec Ca, Fe anaemia, aphous ulcers, antiendomesial IgA may be negative–> test transglutaminase IgG. hypocalcaemia is seen in Coeliac disease. hypocalcaemia, iron deficiency anaemia, normal inflammatory markers, GI symptoms –> coeliac disease. raised MCV –> tropical sprue. Erythema nodusum –> need CXR to exclude sarcoid/TB. erythema nodosum: sarcoid, TB (NB. ALWAYS first do CXR), infection (strep), drugs (sulphonamides, OCP), inflamatory bowel disease, behcets disease. Lesions last 6-8 weeks. other tests: asot titre, throat swab, Mantoux test. Rx underlying cause, NSAIDs, bed rest. not associated with DM or PSORIASIS . Catheters pressures/sats: Left side of heart : LA, LV, Aorta are all 98%. Right Side heart : RA, RV, Pulm A all 74%, (IVC 70%, SVC 74%). Mean pressures (mmHg). PA 10, Aorta 100, PCWP 1-10. From this info you can calculate where is the lesion. Epilepsy in pregnancy –> continue antiepileptics..safer than a fit. Steroid responsive nephrotic syndrome –> likely to be minimal change NOT membranous. Childhood recurrent nephrotic syndrome –> likely minimal change disease therefore steroids, biopsy if not responsive, cyclophosphamis if >2 episodes/6 months, >4/year or steroid dependent. Add ACEi if prolonged protenuria. DISTINGUISH FROM post streptococcal GN –> invariably complete recovery. Myxoedema coma due to thyoxine non compliance –> 1. iv thyoxine, 2. thyroxine, 3. thyroxine, 4. thyroxine, 5. thyroxine!!! i.e. thyroxine is most important NOT steroids. COMPARE with 35. Slightly hypothyroid patient –> started on thyroxine –> deterioration. Patient has Addison’sdisease with sick euthyroid syndrome and the thyroxine has caused acute Addisonian crisis. –> Rx. steroids iv COMPARE with 34. Total t3/4 up, TSH and free t3/4 normal —> pregnancy. Compare this with:- normal T3/4, raised TSH –> non compliance – e.g. patient took thyoxine just before clinic appointment! Smoker, proximal muscle weakness, dry mouth –> Eaton Lambert syndrome. Eaton Lambert – dec reflexes, proximal weakness, ANS dysfunction. Schmitt’s disease: autoimmune diabetes and Addison’s which can be associated with primary ovarian failure and primary hypothyroidism. In this combination think of Schmitt’s before pituitry dysfunction. AF: flecainide contraindicated in ischaemic heart disease. sotalol can be used for PAF to maintain sinus rythm. Adenosine (used in SVT) contraindicated in asthma. Pregnancy: raised oestrodiol, anorexia – mildly elevated prolactin, ammenorrhea. low BMI, hyperprolatinaemia, excessive exercise –> anorexia nervosa. (prolactin not raised in coeliac disease). 1. PCOS – ostradiol normal, inc LH:FSH ratio, mildly inc prolactin and androgens. Obesity, huruitism, oligomennorhea. Entrapment palsies: common peroneal –> lost dorsiflexion and eversion, ulnar nerve at elbow. Especially after prolonged bedrest. 1.Pick’s disease – frontal lobe dimentia with gradual peronality changes. i.e. hypersexualiy, hyperphagia, impulsiveness. Pick’s disease makes you think with your pick!! 2.Lewy body degeneration –> visual hallucinations, dimentia and parkinsonism (lewy body like LSD!!). recent onset parkinsons + visual halluinations + normal CT –> diffuse Lewy body disease. 3.CADASIL –> migraine, lacunar strokes, dementia. notch 3 gene mutation , no cure. 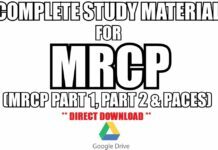 PSC is diagnosed by ERCP, assoc UC.AMA is associated PBC (seen in Crohns). 1.DeQuevern’s thyroiditis: tender thyroid, wt loss, malaise, fever, ESR >50 or 100. 3.thyroid autoantibodies: think of Grave’s or Hashitoxicosis. If these absent solitary thyroid nodule is likely. Drug induced typically is amiodarone. 5.pregnancy with hyperthyroidism –> carbimazole NOT radioidine, NOT thyroxine plus carmbimazole. Surgery increases risk of miscarriage. 6.thyroid disease on OCP –> check free T4 to exclude hyperproteinaemia falsely elevating T4 and TSH. raised ALP is likely due to thyrotixcoisis. Decreasing insulin requirements in diabetic, hypos, wt loss and lethargy –> consider Addisson’s. AML:- M2 t(8;21), M4 t(16;16), M3 t(15;17) promyelocytic assoc DIC, Rx. All trans retinoic acid, Auer rods. acute promyelocytic leukaemia t(15;17) DIC, Rx: all trans retinoic acid (ATRA). Auer rods. Patient looking tired –-> think myasthenia gravis, ask to count to 100. Botulism: CN dysfunction, ANS dysfunction, later limb/resp paralysis, normal CSF , cholinergic blockade. RUQ pain, fever, jaundice –> ascending cholangitis. can occur even after cholecsytectomy. Inv. blood cultures (E.coli), U/S to exclude abscess. liver biosy should never be 1st test for jaundice and fever. Histiocytosis X: manifestations are due to histiocytomas 2-4 yrs, M>F. lung fibrosis and COPD, bone infiltration (esp skull), proptosis, deafness, hepatosplenomegally, lymphadenopathy, diabetes insipidus (pituitry infiltration). Dx by histology (small round cells). Rx steroids, occasionally vincritine. occasional spontaneous regression. Flow volume loop: URT obstruction decreased inspiratory flow. Leucoerrythroblastic blood film: marrow infiltration, leaukaemoid reaction to infection (dohle bodies, toxic granulations). Differentiaite by presence of hepatosplenomegally or lymhadenopathy and absense of left shift). Inccrease Ca, inc BP, palpitations, goitre –> MEN2 = thyroid C cell Carcinoma, parathyroid adenoma, phaeochromocytoma. Ret oncogene (chr 10). calcitonin elevated. Relatives need regular screening. Antiphosholipid syndrome – false positive VDRL, recurrent thrombosis/miscarriage, in vitro prolonged clotting –> RAISED APTT +/- PT, does not correct with addition of normal plasma due to LUPUS anticoagulant. Rx prophylactic anticoagulants. Assoc livedo reticularis (conn tiss disorders), pulm hypertension, cerebral problems, valvular heart disease, low plt. Alkapatonuria aut rec – homogentesic oxidase deficiency. Urine darkens on standing, ochronosis (pigmented cartilage, conn tissue e.g. Ears, joints). Premature arthritis. Xray –> intervertabral disk calcification and aorta. Rx low protein diet, poorly affective. Porphyria cutanea tarda – liver disease, SKIN rash (hands, head). Uroporphyrin decarboxylase deficiency. XS uroporphyrin -> photosensitive blistering rash (PAS staining), cirrhosis. Precipitants are enzyme inducers: alcohol, anticonvulsants, oestrogens. There is often secondary haemaochromatosis, secondary polycythemia. Rx –> alcohol abstainence, avoid sun exposure, venesect if Hb >12. Chloroquin binds uroporphyrin. End product blocked is corporoporphyrin. Purple = positive gram stain. (it went Positively Purple with pleasure). Pink = negative. GPCocci=Strep/Staph. Gndiplococci=Neisseria, GNrods=HAEMOPHILUS . TB=ZN red. Precipitants of HONK – XS sugary drinks, infection, thiazides, steroids, MI. If hypernatraemic use 0.45% N Saline, half strength sliding scale, DVT prophylaxis. Decrease osmolality gradually. Treat underlying cause. Genetic pedigrees. 1. look at transmission – no male to male = X linked, 2. female to male/female only then mitochondrial. Alports syndrome: x linked dominant: renal failure in males (females haematuria), senorineural deafness, ocular abnormailities (myopia, cataract, retinitis pigmentosa – see pic). Post renal transplantation anti-GBM disease because original defect was type 4 collagen in GBM (goodpasture antigen). Chronic Active hepatitis – risk: old blood transfusion. Usually asymptomatic, chronic progressive. Causes: Hep B (eAg present) and Hep C (anti-HCAb’s) also SLE, LKM, methyldopa, isoniazid, antytipsin, Wilsons, UC). AST, BR elevated >>ALP. Piecemeal necrosis. Rx. Iv IFN, success 30%, often relapse. Cardiac catheter values – 1. look for unusual pressures and saturations, 2. look for gradients across pulmonary and aortic valves. mitral valve disease reflected in PCWP. Acute intermittent porphyria – aut dom, Chr 11 PBG deaminase deficiency. 5F>M. Increased dALA and PBG blood and urine–. gastro and neuro sequelae, (SKIN manifestations rare cf PCT). Precipitants: drugs (barbiturates, anticonvulsants), alcohol, fasting, sepsis, OCP. Presents as acute abdominal abdomen (can mimic surgical abdomen but AXR normal). Neuropathy/ANS excitation/motor paralysis including CN’s, epilepsy, hyponatraemia (SIADH). Rx 1. withdraw precipitant, 2. high carbohydrate diet /iv dextrose (reduces haem precursors in blood by reducing ALA sythetase activity), 3. haematin iv, 4. opiate analgesia. Avoid metoclopramide (another precipitant), B blockers for tachy. Epilepsy: calories, fluid restriction (inc Na), chlormethiazole or diazepam (most other anticonvulsants are preciptants). Tests: erlichs dye –> red (also jaundice) PLUS chloroform –> purple sedimnt (porhyria).clear (bilirubin). (Watson Scwarz test). Levels elevated in attack but may be normal when well. Can assay red cell PBG deaminase (low), ALA dehydrogenase (high). Hereditory angioedema (c1 esterase inhibitor deficiency) aut dom. Attacks preceded by painful macular rash. precipitants: trauma. Laryngeal oedema, abdominal pain. Normall rx supportive responds in 72 hours. Can give FFP if severe/protracted. Long-term rx. Danazol (inhibits plasmin) Hydrocortisone/chlorpheniramine less effective cf. anaphylaxis. Diagnosis C1 esterase inhibitor (low), c1 esterase (high), c2 & c4 both low. Aortic dissection: proximal –> urgent Surgery . Seen clearly on 2D echo. Important to exclude before thrombolysing any MI. assoc. hypertensive blacks, Marfans, Ehrler Danlos, pregnancy, coarctation. Scurvy: elderly, normocytic anaemia, bruising (haematomas), prolonged bleeding time –> always think of vitC deficiency. Easy bruising, bleeding gums, periosteal haemmorhage, muscle haematomas. Classic: perifolicular haemorhage, corkscrew hairs. APTT/PT normal, BT increased. Dx by plt or leucocyte ascorbate concentration. Rx. Vit C.
Preticularis, testicular pain, assoc HbsAg. Multisystem (neuro, gi, renal, cvs), aneuysm –> thrombosis –>organ infarction. dx. ANCA suggestive, organ biopsy , microaneurysms on angiography. Rx. Steroids. Apical lung fubrosis: TB, EAA, ankylosing spondylitis, apergillosis, radiation, sarcoidosis, histoicytosis X.
FAMILIAL benign hypocalciuruc hypercalcaemia – aut dom. Usually lifelong asymptomatic hypercalcaemia occasional gall stones/pancreatitis/joint deposition. Difficult to distinguish between 1ry PTHism so patients often have uneccesary parathyroidectomy and FH parathyroidectmy. Can distgiuish because urinary calcium is LOW (it is high in all other causes of hypercalcaemia). Conservative management. Eruptive xanthomas: think hypertriglyceridaemia (associated with pancreaitis). There is pseudohyponatreamia due to lipids binding Na – the free sodium only is normally measured. Can differentiate by looking at serum osmolality. (sotalol, flecainide, amiodarone, disopyramide). Avoid digoxin and verapamil as they increase accessory pathway conduction predisposing to malignant ventricular arrythmias. Polycythemia rubra vera – Hb can be normal if coexisting Fe deficiency anaemia (low MCV), look at PCV and rbc count to make the diagnosis. All marrow cells increased (wcc, plt) and splenomegally. Incidious onset assoc lethargy, depression, vertigo, tinnitus, amaurosis fugax. Plethora, hypertension, spenomegally. Bledding (usually upper GI) due to throbocythaemia, stroke (hyperviscocity), gout (increased cell tunover). Can progress to myelofibrosis or AML. Rx. Venesection (can cause fe def anaemia). Busuphan and hydroxyurea to control thrombocytosis. Hypokalaemic periodic paralysis – aut dom, episodic paralysis classically while patient asleep or with prolonged rest. 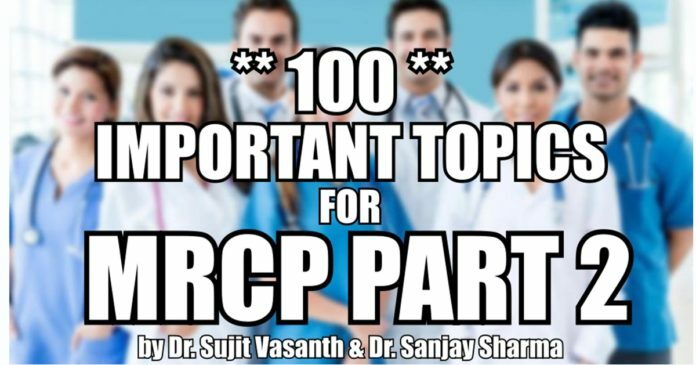 Ppt by dextrose and insulin, alcohol, cho, anxiety, tension. Rx can give K supplements or longeterm K sparing duiretics. Associated with orientals with thyrotoxicosis. Hypokalaemic arrythmias. Rx of thyrotoxicosis prevents paralysis too, propranolol also works. Only affects males. Need to exclude GBS or myasthenia gravis. Schmidtz syndrome (polyendocrine deficiency type II) – 10% of addisons pients have other endocrine abnormailies too – autoimmune hypothyroidism and IDDM. Type I PED = parathyroid, adrenal, candida, alopecia, pernicous anaemia. Vitiligo and hypogonadism occur in both. Hypothyroidism can cuase a large heart . Leprospirosis (rat faeces) – liver failure common, renal failure can also occur. Brucellosis (unpasteurised cows milk) – liver failure rare, assoc hepatosplenomegally, high fever and leucopenia. Atrial enlargement on ECG. R atrium = tall P II, V1 >2.5 small squares tall. L atrium= bifid P in II >3 small squares wide, V1 – negative portion p wave >1 small square duration AND amplitude. Sokolow’s criteria for ventricular hypertrophy look at V1 ad V5/6: Right ventricle >12.5mm. Left ventricle >40mm. LVH shows more toward V6, RVH in V1. HIV infections: oral hairy leucoplakia (H=EBC infection) – white plaques on the lateral border of tongue Rx. Acyclovir cf candida rx. Nystatin, flucanazole. Crypotosporidium diarrohea – ZN stain of stool –> red cysts. Rx. Symptomtic + spiramycin/paromomycin. SLE – arthropathy, fever, polyserositis. 10F:1M, blacks, usully 6, LRTI, polm oedema, accelerated hypertension, arrythmia, bulbar involvement, campylobacter infection. Homocytinuria – cystathionine deficiency, aut recessive, chr 21—> homocysteine accumulation–> oxidised to homocystine (elevated urine levels). Cystine NOT produced. Defects in collagen crosslinking. Marfanoid features (tall, arachnodactyly, high arched palate, lens dislocation), osteoperosis, epilepsy/mental hadicap, venous/arterial thrombosis (OCP contraindicated), folate deficiency (inc MCV), premature coronary art disease. Rx. Restrict methionine, add cystine. Give Pyridoxine as soon as diagnosis is made.